We had a really nice weekend with family. 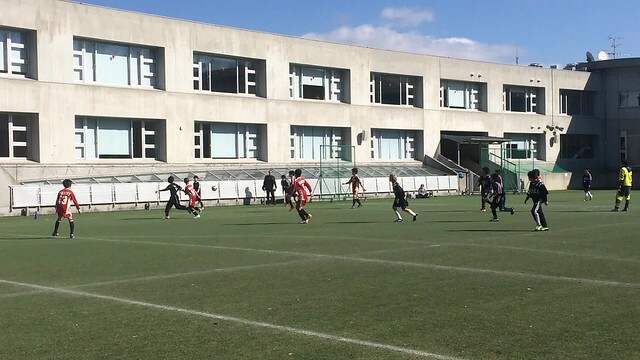 Owen plays for the school’s middle school boys’ soccer team and they hosted Marist Brothers International School of Kobe on Saturday. 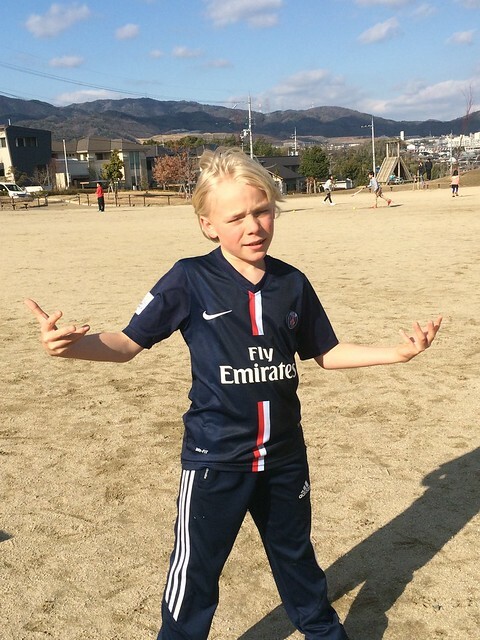 Owen enjoys playing soccer and his athleticism helps him be a good player. He is also starting to feel more comfortable at the school and Japan and it shows with more relaxed performances. 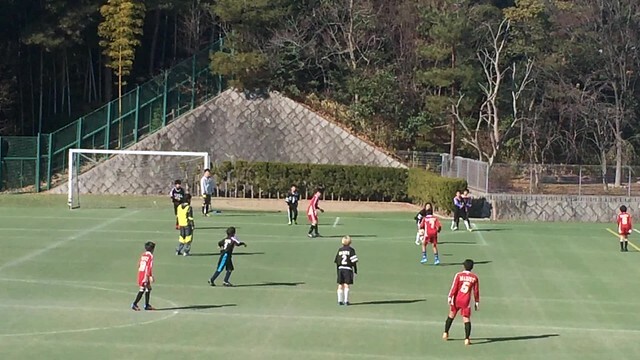 His team won 7-1 and he scored two goals and assisted on another two. You can see in the videos above and below. There is a good core of athletes in grade 6 at the school with Eun and Rhen. I hope to see years of athletic success as they mature and play together more. The weather was nice, with temperatures getting up to 11C and sunny, so I joined the kids at a local park to play. It is so nice to feel safe enough to let them go to the park on their own and play. It brings back memories of my childhood in the 1970s, when we did a lot by ourselves without the modern helicopter parenting of today. On Sunday we met our old friends from Belgrade, a former classmate of Ocean, Wakana. 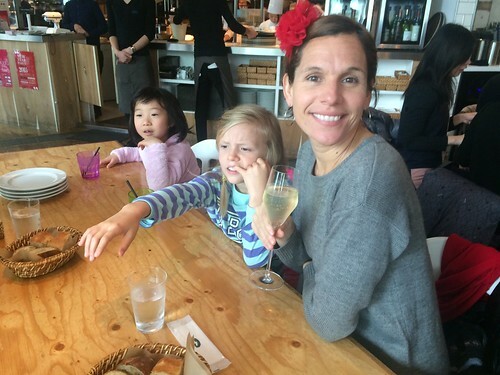 Her father Tsutsuru is on a business trip, but Miyuki brought the girls to Umeda and we met them for lunch and skating. The rink was in the plaza of the Grand Front Osaka . It is nice that city officials are taking what used to be a huge train freight yard and converting it to parks, apartments, restaurants, etc. There was no ice but instead a plywood rink with a white, wax-like covering. One could skate relatively well, but it was not as smooth as real ice. I felt like a cool dude because most of the people on the rink were not very good skaters. I don’t know if that is true of all Japanese and how popular skating and hockey are here. On the way home we stopped at H&M to buy some long-sleeved shirts for the kids.